Hi everyone! We’ve released a new system software update for PS Vita, version 3.00. This update includes some great features, like a new application called PS4 Link, which — you guessed it — allows PS Vita to connect to PS4 for Remote Play and Second Screen capabilities. We’re thrilled for everyone to see how PS Vita will be the ultimate companion device to PS4 through this application. We made a video to highlight some of the key features in this new update. Have a look! The PS4 Link app has been added to the PS Vita system’s home screen. With this application, you can use your PS Vita to remotely control a PS4 system, and play a range of PS4 games on your PS Vita screen. When you’re playing a game on PS4 that supports second screen features, you can also display information from that game on your PS Vita and use it as a second screen. The Parental Controls application has been added to the home screen. You can now manage the duration of game play, and the use of games and videos that have parental controls. You can also control access to certain areas of the system, including the use of the Internet browser and Location Data. A Panoramic Camera setting has been added. You can now take panoramic photos on PS Vita, and look around the photo by using the PS Vita’s built-in motion sensor. The Group Messaging application name and icon have been changed to Messages. The application layout has also been improved, and you can now send and receive messages with friends and players on PS4 or on mobile devices installed with PlayStation App. The icon for the Party application has been changed. You can now voice chat and text chat with friends and players on PS4. You can now sync the contacts saved in your email account from services including Gmail and Yahoo! Mail. To sync your contacts, select Contact List > Options > [CardDAV Settings] > [Add CardDAV Account], and then follow the screens. You can now use Wi-Fi to connect your PS Vita to a PS3, and transfer data between them. 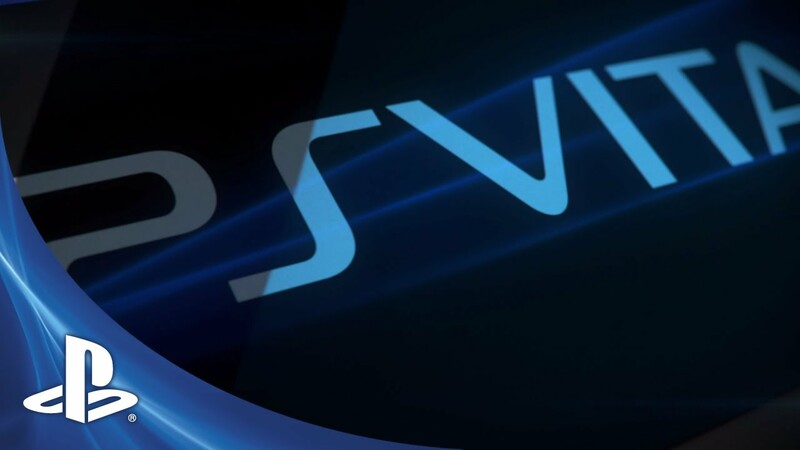 Your PS Vita and PS3 must be connected within the same network.‎ Also, to use this feature, the system software of the PS3 you’re using must be version 4.50 or later. The Remote Play application name and icon have been changed to PS3 Remote Play. You can now download future system software updates automatically. You can now display Trophies of PS4 software on your PS Vita. Rarity of the trophy cannot be displayed. Is the “Preparing to download” fix in this? I still have to reboot my system every once and a while when it gets hung up after a purchase. Yes! This should be fixed in 3.00. Thanks for your patience, sorry it took a bit! No improvement on PSOne Compatibility? Is there still a limit of 100 apps/games only? The Vita needs to allow more than 100 apps/bubbles to be allowed at once if 64 GB cards are going to be useful at all. Thanks for the feedback, we are taking this in to consideration! Is the 100 icon limit going to be increased or at the very least will we be able to delete the icons forced onto the system? I’ve hit my limit and it’s really annoying that I cannot delete the icons forced onto the system. I’m never going to use Welcome Park again. Why do I have to keep it on my system anymore? Parental Controls on Home Screen? Oh, great. More clutter on my home screen. Allow people to switch off Party, Email, Parental Controls and that Welcome Park icons please. Apparently I am more interested in my 100 PSN friends limit for my PS3 and Vita. The Vita PS store needs to be improved to show more things, like PS3/PS4 content and avatars. Will PS4Link work for things like WatchDogs? Or will that need a whole different app? Would that kind of app be available on Vita? Was hoping for some improvements on the PS Store for PS Vita, mainly the Preparing to download issue and even having a dedicated space for downloading patches/firmware updates like the App Store. Also will the trophy app finally display your full PSN name? vita must support multi user !! that is very important to us ! Thanks! I’m really excited for the PS4! Will the PS4 system update be made available before Nov 15? Even one day will help alleviate the online traffic on launch day! I’m really looking forward to this. It is one of my favorite features on the PS4! Can you tell us how big of a download the update is? Thanks! Remote play only for selective titles? Not mandatory? “Rarity of the trophy cannot be displayed”? So does that mean it can be displayed on the PS4? Very interesting if true. Please give us a way to remove unused bubbles from the home screen. I have a whole folder full of bubbles that I’ll never use, and looks like this update will give them some new friends in the folder. Also give us new ways to organize the icons. 3x4x3 takes too much space if you have a lot of games and doesn’t want to put them in a folder. Thanks for the heads up Sharon. Seeing a few really nice things coming in this update ! @4/5 They added folder a while back in case you guys didn’t know. You can have 100 folders and 10 bubbles in each, so that’s 1000 total. Any chance we can get some party shortcuts added to the playstation button pop up menu? As is if I’m playing killzone online and a friend sends a party inv I have to wait for the game to end (if I wish to make progress) exit out of the game, join the party and restart killzone. It would be amazing to have the option to join or make a party from the pop up menu so I don’t have to sacrifice what I’m doing to join a party. Disconnects can always be a hassle too especially when playing co-op games and having to wait long times to get a save or finish a mission. Also forgot to say that we need multi-users like the PS3 can handle. My little brother have his own account, but we can’t use more than one in the same system. It could work even if we needed to be logged on the owner account to play his games. Really need to fix the Download bug. Sometimes when I make a purchase my Vita it will not download and hangs up. I get a red circle with a white line when trying to hit the PlayStation button. Must do a hard restart to correct. I hit the issue too, very frustrating. It should be fixed now though! Why have PS3 Remote Play and PS4 Remote Play as separate apps? Looking at the PS4 link app, there’s room for a third button for the PS3. You guys do NEED to think of these things cause of the 100 app limit. You’ve taken 2 unnecessary slots from us that we can’t use as games. While I’m making UI suggestions, there’s a lot of empty/wasted space on the menu you get by holding the PS button down. The wifi/bluetooth/airplane icons could go in the buttons next to the text, and move everything up to the top. The PSN store STILL gets stuck forcing me to hard-reset the Vita. Just stop blocking the PS button and it’d be “fixed”. Please tell me Vita will get VitaTV’s ability to use bluetooth controllers and PS3/PS4 controllers. I’d love to get a clip for Vita to attach a controller to, I have one for my PSP go. The power icon also should not take up a bubble slot, it should just go on the hold-PS-button menu. @22, I heard that the limit is still 100 bubbles including the folders so hopefully Sony has increased the limit or at least allows us to remove many bubbles that we have no use for like Welcome Park and others. Also maybe they’ll actually give us access to more PSone Classics with this update. A new PS Store layout would be nice to have as well as integrating the PS Mobile side with the PS Store. Not to mention some updates to Near or even Treasure Park.. noticed that hardly anyone uses them anymore. Remote play only for selective titles? Not mandatory????????? I havent read any more of the blog post besides watching the video. But i want to get a comment in before the hundreds of others flow in. WiFi Compatibility: Please Add support for WPA2 Enterprise so college students can access their university Provided Wifi.. This is Huge. The largest universities in the world use WPA Enterprise and students cannot connect their PS Vitas. So will remote play on the PS4 go the same route as the PS3? Basically non-existent? NOT happy that we’ll have another useless icon on our PS Vita. Especially if you haven’t increased the icon limit passed 100 yet. I’m referring to Parental Control obviously. PS4 Link is fine. I’m not a parent (and never will be), and I think any parent that can’t find parental controls in settings is the type of parent who isn’t even looking for these things at all. Also, Vita NEEDS multiple account support like PS3 now, since the VitaTV ad shows you swapping memory cards. Unless you don’t think there’s households who have more than one Vita in them. @30 Can’t force a game that uses the camera or move to support Remote Play. I think pretty much every title that doesn’t use the camera will support it. Please just fix the download problem on the store! Please, please, please get rid of that 100 icon limit. And please allow retail game bubbles that are not inserted to disappear when the cartridge is removed! I am way over the limit already. Great update. I would love to see DLNA support on the Vita soon. Thanks for the new update, keep up the good work! I’ll be looking forward to downloading this update! Very nice! I can’t wait! @35 That’s not what Sid was implying here. Is the Vita download bug fixed? I’m tired of having to reset my Vita almost every time I try to download something on it, sometimes I don’t even like to download thing to my Vita because of the bug. What about more avatars and themes for Vita? Oh, and you really need to fix the livearea thinking that every time you re-download/install a game it’s the “first time you played it”. It can’t do a quick search in your trophy data to see you’ve platinum’d it or played it before? I don’t like that information being given out, when it’s not true. I’m probably a minority that reads the friend app’s livearea for updates on what everyone is up to though. But it’s annoying regardless. But can I take screenshots of PS1 and PSP games? The PS4 fever just gets higher and higher the closer Nov 15 gets!